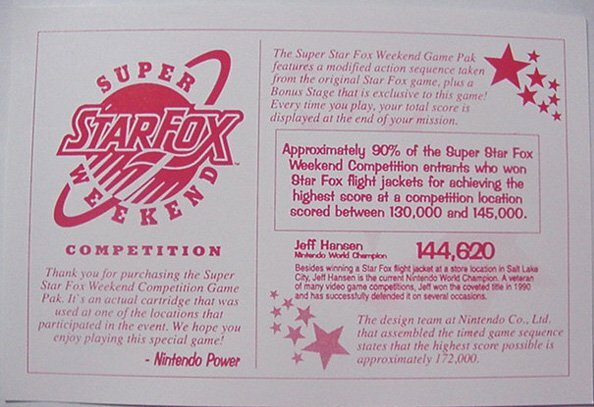 badinsults wrote: "Star Fox - Super Weekend" is an incorrect title. It should be Super Star Fox Weekend, as per the marketing materials. I would've said based on the logo, "Star Fox Super Weekend" vs "Super Star Fox Weekend" would be a different opinion on how to read the logo, but seeing it officially typed out should be clearer. they all had retail releases by WaterMellon or Super Fighter Team so I wouldn't call them reproduction or homebrew Just because they were released after what you would consider the lifespan of the console. tagging them as 'Unlicensed' is probably more appropriate. I listed them because I'm not sure what No-Intro's stand is on games released after system life span. I haven't seen any definitive answer on what they want. To me, it's a little inconsistent across platforms, probably because different people build the different system lists. I'm not saying they weren't commercially released, I know they were, but even WaterMelon considered themselves homebrew. Super Fighter Team mainly brought English translations to existing games through reproduction carts. They're kind of having the same problem with the newer Mini NES, Mini SNES, and Virtual Console releases. 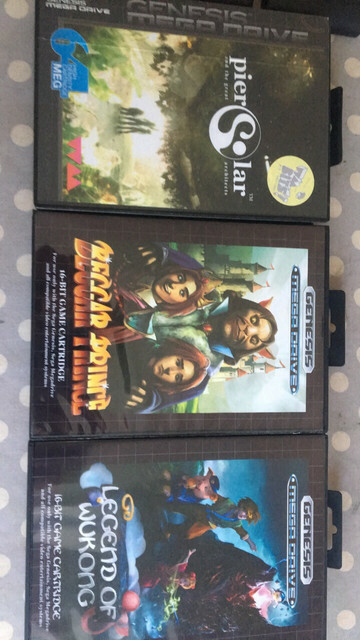 Games are being re-released to markets they weren't previously released in. People argue one way or the other. I'd rather it just be consistent across the board and have the option to exclude them if they make it into the official dat.